I’ve been curious about this book, and I’m glad to read such a positive review. Will definitely add this to my wishlist. This book sounds like a lot of fun! 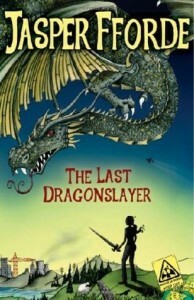 I’ve never read Fforde’s work, but now you’ve convinced me to throw this on the TBR list! I’ve got to catch up on my Jasper Ffordes! I hope to read Shades of Gray and this one within the year. I enjoy the Thursday Next series and this sounds really interesting. I love Jasper Fforde’s wit. 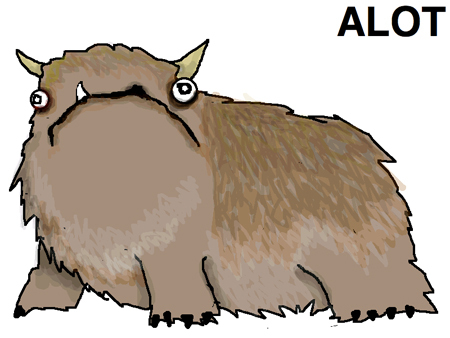 Now that you mentioned the velociraptor, I realized that the Alot doesn’t look like a Quarkbeast anymore. Maybe if the Alot had more blades or a metal coat or something. Hee.